The RSC is pushing boundaries with a thought-provoking festival surrounding what is unsayable in the 21st century. The Making Mischief Festival features edgy, relevant new plays from some of the most exciting contemporary playwrights, focussing on issues including race, gender, language and national identity. It centres around a series of challenging plays that aim to question our society, which will run at The Other Place Studio Theatre in Stratford-upon-Avon from July 27 to August 27. They include Fall of the Kingdom, Rise of the Foot Soldier by Somalia Seaton, which is based around a racially-motivated attack on a student which forces her teacher to confront the uncomfortable truth lurking beneath the community. Meanwhile, Fraser Grace's Always Orange is particularly topical and set in the aftermath of the London terrorist attacks, looking at how to be human in a world always on the edge. The festival also includes a return of the award-winning Revolt. She Said. Revolt Again by Alice Birch, which examines the language, behaviour and forces that shape women in the 21st century. After its appearance in Stratford upon Avon, the show will also make its Scottish premiere at the Traverse Theatre as part of the Edinburgh Festival Fringe. Revolt. She said. Revolt again. made its debut as part of the 2014 Midsummer Mischief Festival in Stratford-upon-Avon, transferring to the Royal Court Upstairs and was recently produced at New York's Soho Rep. After its Edinburgh run it will transfer to the Shoreditch Town Hall in London. In addition to these plays is Clean Break's critically acclaimed one woman show Joanne - performed by Tanya Moodie. This explores the pressures on our public services. 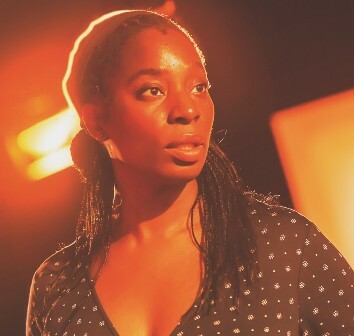 Joanne stars Tanya Moodie in the acclaimed one woman show. The month-long festival is led by the RSC's Deputy Artistic Director Erica Whyman and will include a series of accompanying talks and events, asking: what is unsayable in the 21st century? 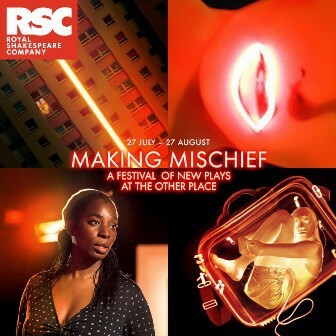 There is also the Making a Scene event on Saturday August 13 at 11.30am, where RSC Honorary Associate Artist David Edgar speaks to award-winning playwright Alice Birch about her favourite scenes from Shakespeare, and where she finds inspiration for her work. A prolific playwright, David Edgar's association with the RSC (like Alice Birch's) began at The Other Place, when his award-winning play Destiny was staged there in 1976. 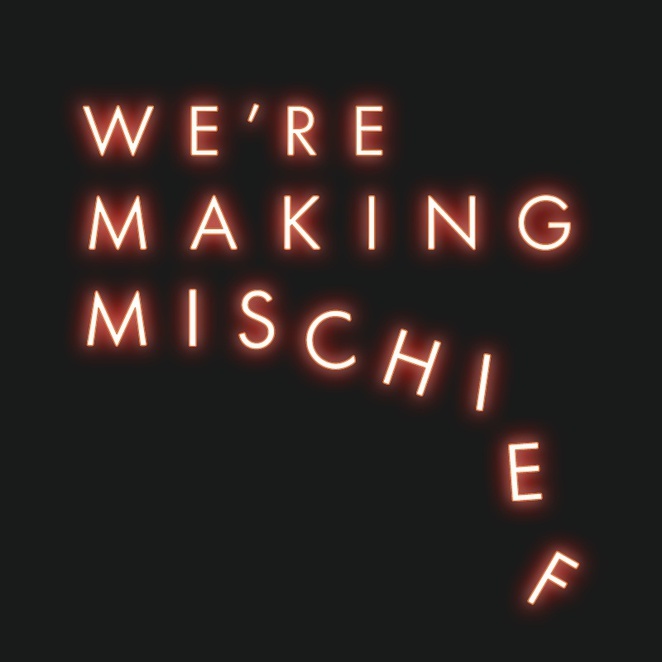 Tickets for all 'making Mischief' shows and events are available from the RSC box office on 01789 403493. Tickets are each play costs £15 from the RSC website. There are discounts of two plays for £25, three plays for £35 and four plays for £45. Casting includes: Donna Banya (Aisha), Bally Gill (Chorus), Laura Howard (Hawkins), Tyrone Huggins (Chorus), Syreeta Kumar (Shabz), Ifan Meredith (Archie / Chorus). Casting includes: Donna Banya (Amna), Bally Gill (No Name 1), Laura Howard (Delores / Jackie), Tyrone Huggins (Farouk / Mr Ibrahim), Syreeta Kumar (Rusha), Ifan Meredith (Joe). To book call 0131 228 1404 or online at the Traverse Theatre website. Shoreditch Town Hall, London - Wednesday August 31 – Saturday September 17. Director, Erica Whyman, and Writer, Alice Birch, discuss Revolt. She said. Revolt again. David Edgar talks to Alice Birch about her favourite scenes from Shakespeare and where she finds inspiration in his work. A conversation about the themes of fear and power, connecting the Making Mischief Festival to the Shakespeare plays currently in rep at the Royal Shakespeare Theatre. Who is given the platform to speak the truth? A chance to look inside the engine room of the RSC and watch a work-in-progress sharing of Research and Development project The Pioneers. See how the creative team tackle the story of three pioneering women who crossed the Himalayas in a Land Rover in their husbands' long johns in 1958.